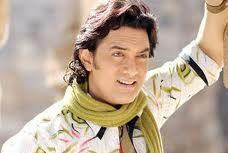 Aamir is one of the most famous Bollywood actors who has made a remarkable success at the box-office. He started his career as an adolescent actor in Nasir Hussain''s movie, ''Yadoon ki Baraat '' but he made his first debut as a leading actor in ''Qayamat se Qayamat Tak'' which was very successful movie at the box- office. After that Aamir Khan acted in a number of Movies which were among the most successful films of the respective years.Aamir Khan is known by several nick names such as Chocolate Boy, Mr. Perfectionist etc. The past few years has been very remarkable for him in his whole career as he made several great movies such as Lagaan, Taarein Zameen par, Mangal Pandey ,3 Idiots and many more. Among all these, 3 Idiots became the biggest blockbuster of this century for being the highest revenue collecting movie of Bollywood. During his whole career, Aamir Khan has been through several ups with little downs. So, now let’s explore his destiny more by having a look at his horoscope. A birth chart (also known as kundli, janma kundali, or horoscope) is a map of heaven at the time of birth. Aamir Khan's birth chart will show you Aamir Khan's planetary positions, dasa, rasi chart, and zodiac sign etc. It will also allow you to open Aamir Khan's detailed horoscope in "AstroSage Cloud" for research and analysis.